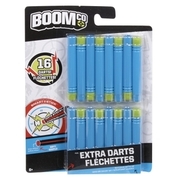 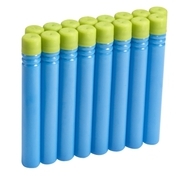 BOOMco.™ Extra Darts (Blue with Green Tip)Dart Toys & Blasters - Awesome Blasting Gear & Toys for Boys - BOOMco. The dynamic colors and unique patterns offer both personal choice and handy retrieval on the battlefield. 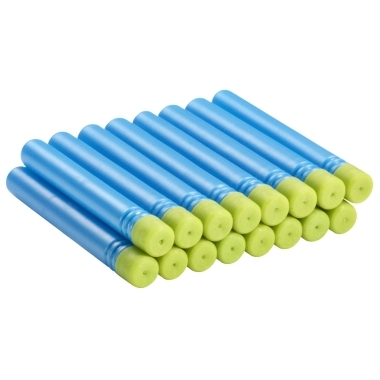 Their Smart Stick tips stick to shields and targets and their sleek and dynamic styling mean they perform more accurately than the competition and never jam! The darts are made of soft, flexible and durable plastic to withstand the elements without getting bent or torn as competitor's? darts do.